Join in our chorus of jubilation! As his own in all the world! Steal away alone and in sorrow. And to the angels who dwell with God. Joyful as a hero to victory. Be embraced, all ye millions! Do you kneel before him, oh millions? Do you sense the Creator’s presence? Seek him beyond the stars! 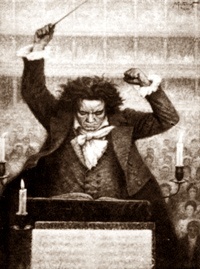 Beethoven shook the world with his thunderous Third and Fifth symphonies. He also showed us his supreme passion towards the nature in his Sixth, the Pastorale in F major. But it is his D monor Choral, the Ninth and the final, symphony that disseminates the compassion of this great man for the entire mankind. Beethoven, the lone soldier fighting relentlessly for broader freedom, through his final symphonic speech, transcends once again universal longing – this ultimate symphony is an enlightenment testament. 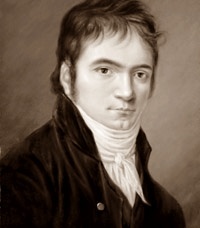 It is worth noting that in the premier of the symphony on May 7, 1824 in Vienna, Beethoven received five ovations at the conclusion, and left the concert deeply moved. In his thirty some years of splendid manifestation, Beethoven enchanted the world like nature did. We walk in the landscape of Beethoven that filled with melodic, harmonic, and rhythmic beauty, we instantly dismiss any personal anxiety, fear, and hopelessness. Our aspiration becomes so enriched as if we are venturing in a deep woodland, an echoing valley, a rocky mountain, or a roaring ocean. From one place to another, it is often surprising and breathtaking, but always enchanting and inspiring. Thankful that when we passing by a park, a restaurant, a museum, that unmistakeable Beethovenian flows into our hearts through our ears, whether it’s an overture, a concerto, a sonata, or a symphony, we can whisper to each other: did you hear that? Beethoven! Thankful that with the epoch Beethoven created, many great masters freely acknowledged his sovereignty and willingly followed his inspiration, with their own personal endurance and creativity, greatly enriched our music life, in the names of Schubert, Mendelssohn, Schumann, Wagner, Brahms, Mahler, Richard Strauss, who extended the Austrian – German heritage, and Berlioz, Chopin, Liszt, Smetana, Grieg, the Russian Five, who infused music with their distinguished cultures, and Tchaikovsky, Dvorak, Sibelius, who blended the two schools, and Verdi, Puccini, who brought opera to such popularity. Thankful that when times arrive that demand the heavenly outcry for the ultimate joy, love, and hope, we have the Choral symphony to speak for us. Thankful that Beethoven had created this manifesto for us that one day when we celebrate the universal brotherhood we have the finest form already prepared. By now, Beethoven had single handed ended the classical era. Music is no long just for entertaining the audience or showcasing the artistry of the composer and the virtuosity of the musician. Beethoven dignified music as the vehicle of conveying personal emotions, ideas, and beliefs and for the expression of universal longings – thus, the chapter of the Romantics. The Eroica symphony, without precedent or prototype, abruptly erased any doubt about Beethoven’s intention. The E flat symphony is often described Grand. It is grand in the sense of its scale. Beethoven doubled the size of the orchestra and the length of the symphony. But it really does not capture the intensity of the quantum leap this symphony imposed to the music evolution as well as the endurance of the audience. Let’s put this in perspective. The gap between this symphony – his Third – and the Second symphony, which it followed by an interval of only one year, is so deep and wide that perhaps only Beethoven himself was readily to comprehend the new intellectual conception. The first public performance took place in Vienna on April 7, 1805. Clearly some audience felt the suffer and outraged with the incomprehensible passage, as one concert goer yelled: “I’ll give another Kreutzer if it will just stop.” Even the most equipped music critics had difficulties to grasp the spirit of a whole new set of resonances, “At any rate this new work by Beethoven has great daring ideas, and, as can be expected from the genius of this composer, is very powerfully carried out. But the symphony would gain immensely (it lasts a full hour) if Beethoven would decide to shorten it and introduce into the whole more light, clarity and unity….”, as the Allgemeine Musikalische Zeitung reviewed. The listeners did not really have a choice. They had to surrender themselves to the unparalleled passion, the irresistible outburst of creative energy, and the impeccable mastery exhibited in Beethoven’s musical creations. It did not take long for people to start to recognize that the Eroica, or heroic, symphony is impersonal as the tomb of the unknown soldier, a monument to the deathless spirit of man. It is as if a mysterious destiny, in causing Beethoven agony by tearing down an idol before his eyes, had taken the ultimate pains to insure the greatest destiny for his creation. We have in this work not a personal outpouring so much as a masterpiece which balances form and profound feeling, and looks down from its height on the music of two centuries. In this monumental transformation, Beethoven clothed symphonic forms in a dramatic atmosphere that he forced the delicate, chamber-music style of the symphony to give way to a new abundance of chords, to music that speaks in thunder tones of mighty power. Through his music, we feel the dynamics charged with explosive energy, as if man had become once an elemental being, passionate and wild with unstoppable desire to inner freedom and liberty. Music once for all became the language of humanity, through the funeral marches and fantastic scherzos, as well as prayers and hymns whose solemnity had never before been claimed. “What is beautiful in science is the same thing that is beautiful in Beethoven. There’s a fog of events and suddenly you see a connection. It expresses a complex of human concerns that goes deeply to you, that connects things that were always in you that were never put together before”, as Victor Weisskopf points out. The revelation was elevated to a new height in his Fifth symphony in C minor. This is undoubtedly, in my opinion, the highest expression humanly possible to disclose inner confrontation, struggle, and will to overcome. It is timeless, boundary-less, and universal. Guided by its powerful opening motif, the C Minor Symphony conveys one of the fundamental elements of human beings by steering the listener “from night to light,” from defeat to triumph. Radiant beams shoot through the deep night of this region, and we become aware of gigantic shadows which, rocking back and forth, close in on us and destroy all within us except the pain of endless longing – a longing in which every pleasure that rose up amid jubilant tones sinks and succumbs. Only through this pain, which, while consuming but not destroying love, hope, and joy, tries to burst our breasts with a full-voiced general cry from all the passions, do we live on and are captivated beholders of the spirits. Do you feel the power and the inspiration now? 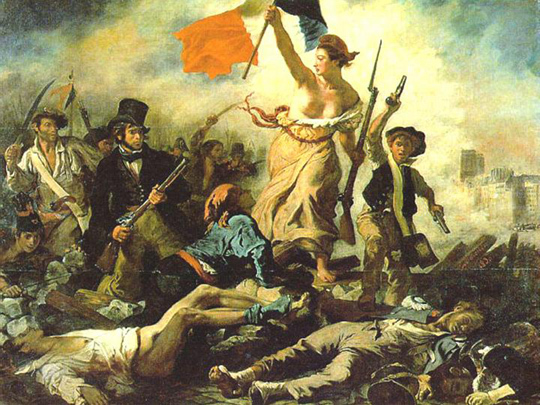 As the century was about to turn, the entire Europe was rattled by the French Revolution politically. But that didn’t seem have much immediate impact on the music world in Vienna. Music enthusiasts were still consumed by the fertile variety delivered to them by the classical masters. 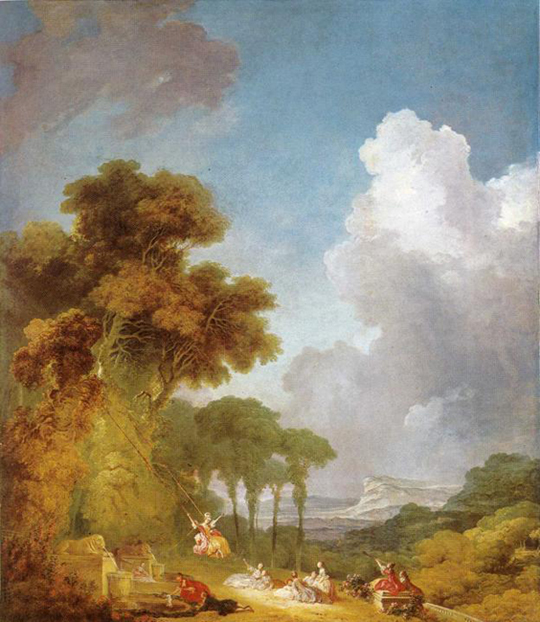 In 1788, the three “Great” symphonies of Mozart, the E-flat (K.543), the G Minor (K.550), and the “Jupiter” Symphony, Symphony in C Major (K.551), were premiered. 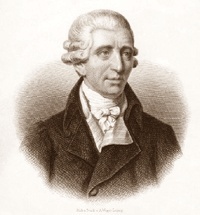 In 1795, Haydn completed the 12 London symphonies. Those were the finest artistic expressions in the symphonic repertoire of these maestros. A new grand symphony for full orchestra by Beethoven. It never was doubtful in Beethoven’s mind that he was about to transform music. In his first symphony, he tried to respect the forms and standards of Haydn and Mozart, restrained himself to confine in their mold. But even with his first entry to the symphonic repertoire, the C major symphony clearly revealed the cloven hoof of the revolutionist beneath. Though the third movement of the symphony retaines the name of the Mozartian minuet, it is obvious a suggestion of something much more energized – a Scherzo. 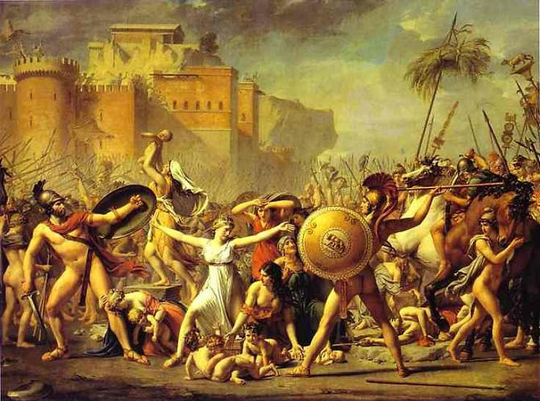 But, still, no one realized this would actually put a period to their beloved classicism. 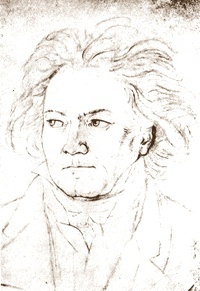 Despite his deteriorating hearing, and the suicidal thoughts he expressed in an unsent letter to his brothers, Heiligenstadt Testament, Beethoven injected boundless humor and vitality into his second symphony, the D major written in 1802. “This Symphony is smiling throughout”, as Hector Berlioz later remarked. In this symphony, the Minuet is officially replaced with the Scherzo. 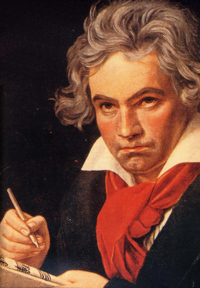 It might be Beethoven’s way of seeking refuge in the charm of music at the time of his personal struggle. But, Beethoven had determined to recover from his depression, to throw himself with renewed vigor into the work of musical creation. He did the unthinkable. He turned his deafness, a catastrophe for a composer, to motivation. He turn the criticism into challenge. He’s about to storm the world with the historical Eroica. A few individuals extraordinaire with their will of change steered the history away from the path it was on. I am not referring those exceptional scientists. Science is a pursuit for understanding of the natural law, which can only be discovered but not changed. Of course, then there’s case of Albert Einstein, who at least shortened a great deal the enlightening process with his disclosure to the certain physics laws. Here, the topic is regarding the humanities and social progression, along the lines of politics, literature, law, philosophy, and, of course, music. Emerging from the Renaissance, together with its siblings in the forms of art and architecture, western music was reborn with a new life. Specially in the next two centuries since the beginning of the 17th century, western music had endured a pleasant, progressive transition, from the introduction of the textured Polyphony, to the delightful Baroque period, finally arrived in the glorious Classical Era. The beginning of this transformation can be characterized with the following revolutionary breakthroughs: in music language, the beginning of a new structure of the vertical aspect of music which is essentially the foundation for harmony, distinguished from the horizontally compiled melodic line as the only aspect existed previously (let me point out that even today oriental music is still predominantly horizontal); the breakaway of instrumental music to become an independent performing form, instead of a mere companion of vocal music; and the addition of opera. Even through the existence of opera can be traced back to the last decade of the 16th century, it only became a popular form with the opening of the first public opera house in Venice in the 1630s. Together, these elements elevated music to a new domain what we call today the Performing Arts, and marked the dawn of the Age of Harmony. Great composers emerged during this transition, provided their contributions in formulating the new structure for music. 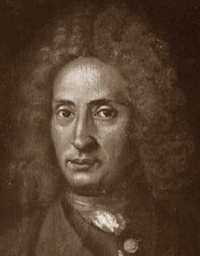 The first testimonial of the beauty of this new Age of Harmony was the appearance of the concerto grosso, which was evolved at the end of the 17th century by the Italian composers Torelli (1658 – 1709) and Corelli (1653–1713), with a structured usage of three or four movements. The form reach its fullest expression in the works of Antonio Vivaldi (1678 – 1741), George Frideric Handel (1685 – 1759), and Johann Sebastian Bach (1685 – 1750). 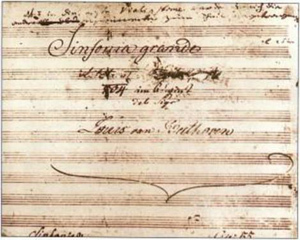 The word sinfonia began to appear in the early 18th century. At the time sinfonia functioned as an introductory passage or overture before the scenes of an opera. It was Alessandro Scarlatti (1660 – 1725) who standardized the form with three movements, and advanced it with its own sufficiency to be performed as separate concert pieces, which, as we can imagine, eventually led to the full scale symphony. Even through Baroque music reached its grand climax in north Germany in the works of J.S. Bach, it was the composers in south Germany who embraced the influence from Italian and France that began the search of something new, something almost intangible, something with an evanescent beauty, something in the style of the French Rococo architecture, something no longer calculated or constructed as it was with Baroque music. This search which resulted in a grand reformation led to the evolution of a new musical language we call Classical. Composers who pioneered this transition include the Italians resided in Vienna, the Bononcini – Giovanni brothers – Battista (1670 – 1747) and Antonio (1677 – 1726), Antonio Caldara (1670 – 1736), Giuseppe Porsile (1680 – 1750), among others, and Georg Philipp Telemann (1681- 1767), Domenico Scarlatti (1685 – 1757) , Franz Xaver Richter (1709 – 1789), Christoph Willibald Gluck (1714 – 1787), C.P.E. 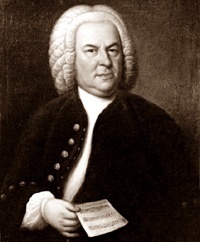 Bach (1714 – 1788), J.C. Bach (1735 – 1782) . The emergence of the new classicism coincided with that of the middle class as an influential segment of society. As this increasingly wealthy bourgeois class pressed for recognition and demanded for participation in the music life, the scale of music reached its new extent, both in the size of the orchestra and in the volume of the instruments. Symphonic orchestra evolved as the predominant performing ensemble, and pianoforte gradually replaced harpsichord. Music, no longer exclusively performed in courtly circles, became the public concert to satisfy the appetite of the large audience. The glory of the classicism was exemplified in the creations of two great masters, both with significance and relevance to our featured hero, Franz Joseph Haydn (March 31, 1732 – May 31, 1809) and Wolfgang Amadeus Mozart (January 27, 1756 – December 5, 1791). While Haydn is often called the “Father of the Symphony”, it was Mozart who sought greater diversity, charm and sweetness of sonorities, who was the first to make the symphony sing by introducing into the initial allegro an elegiac element conceived in the spirit of the adagio. Both men enjoyed enormous popularity. Their prolific compositions became constant celebrations. Music had never gained this kind importance before in people’s life. In fact, it was pretty much the life in the city of Vienna. Music lovers and critics alike (most residents of Vienna at the time probably qualified both categories) were thoroughly enthralled by the enchanting joy of their musical surroundings. No one expected change. No one wanted change. It was recorded that in their brief meeting in Vienna in 1787, Beethoven brilliantly improvised on a theme suggested by Mozart. 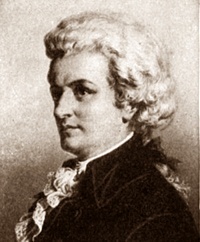 Astonished, after having listened to him, Mozart said, “watch out for that boy. One day he will give the world something to talk about”. Was Mozart sensing what was about to come? Was that the forecast for a storm in the making?